Back at the end of July, a piece I wrote on transmedia television appeared on Huff Post Germany. Since I’m fairly certain there isn’t an English translation readily available on the web, I figured I should post that here. Something important happened on Marvel’s “Agents of S.H.I.E.L.D.” this year, and if you blinked, you may have missed it. 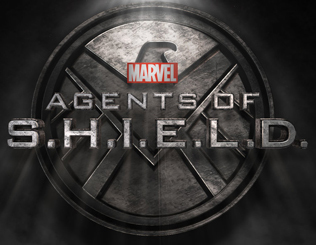 The very first job title that pops up after the “Agents of S.H.I.E.L.D.” end credits begin to roll is “Transmedia Producer.” In order to explain why I think this is such an important development, let me take you through a bit of the history of the term. A transmedia experience, for my money, is something akin to a giant story tapestry, that weaves a narrative seamlessly from one platform to another and back again. But a transmedia story can be so much more than simply an integrated story across multiple platforms. A transmedia story well-told can produce a narrative experience unlike audiences have ever experienced. In 2006, a young girl named Bree started a vlog that would become a YouTube sensation. Or, at least, that’s what her writers wanted us to believe. In reality, “LonelyGirl15” was a scripted web series, served up with all the trappings of a video log. By subverting the vlog as a narrative form in much the same way that Orson Welles subverted the informational radio broadcast for his infamous radio adaptation of “War of the Worlds” more than a half century earlier, “LonelyGirl15’s” creators perpetrated a long-running hoax that changed the face of scripted web series forever. But even more important than this veneer of authenticity was the fact that Bree interacted with her fans on YouTube, in character. Enabling fans to interact with fictional characters online has remained a staple of transmedia web series to this day, when scripted-vlog series are so prevalent that the hoax element has been relegated to a thing of the past. “LonelyGirl15” created a virtual space– an alternate reality, if you will — in which Bree and her friends were real, and invited us to roleplay alternate versions of ourselves in that shared story world. When TV series first began producing original web content, new media was a gray area, outside the jurisdiction of the Writer’s Guild of America. Anything that we’d now think of as transmedia content would have been created by the series’ writers, who would typically have seen little to no remuneration for their efforts, in fees or residuals. In fact, new media residuals were perhaps the biggest sticking point between the writers and the studios during the 2007 WGA Strike, which shut down the entertainment industry for 100 long days. But as the dust settled, the industry began the process of codifying the rights of creators of online content. In April of 2010, the Producers Guild of America ratified a new credit for the first time in the guild’s history, that of Transmedia Producer. A Transmedia Producer, as defined by the PGA, was any producer who oversaw multiple storylines in the same fictional story world across three or more different platforms. In 2013, “The Lizzie Bennett Diaries” became the first YouTube series to win a Prime Time Emmy, receiving the Award for Outstanding Creative Achievement in Interactive Media. The series was a modern-day update of Jane Austen’s “Pride and Prejudice,” in which the characters themselves took to Twitter and other social media platforms, affording the series’ rabid fan base the opportunity to interact with the characters directly. And series like the now-running “New Adventures of Peter and Wendy” took this kind of character interaction one step further, encouraging fans to create their own characters within the world of the story, and the roleplay social media accounts that go with them. Fans who engage in series like this become co-authors of the transmedia story world, and revel in every instance of the show’s creators canonizing their fan-created content. And there are some exciting things on the transmedia horizon. A company called Telltale Games has, in recent years, been producing branching-narrative games that could almost be better described as playable stories. Their award winning “Walking Dead” casts you as the leader of a group of survivors during the zombie apocalypse. As you might imagine, the game’s designers subject you to one Sophie’s choice after another, creating a journey that is nothing if not emotionally-resonant. But Telltale, not content to rest on their laurels, has recently entered into a partnership with Lion’s Gate to create what they’ve dubbed “Super Shows.” Each installment of these so-called Super Shows will include a full, television-quality episode, and a companion chapter of the corresponding game. This represents a fascinating new transmedia paradigm, which I think will push the boundaries of immersive television. We’re living in an age when fans are willing to spend $4 million of their own money on Kickstarter to see a “Veronica Mars” film produced that would never have been made within the confines of the traditional studio system. Grass-roots fan movements are granting TV shows stays of execution, and helping cancelled shows like “Community” find new homes on other networks. A truly engaged audience can move mountains, and there are no more dedicated fans than those who actively engage in a transmedia franchise. In less than a decade, we’ve gone from transmedia content being created as an afterthought, to major network shows employing dedicated Transmedia Producers. Now, I’m not suggesting that a new transmedia paradigm should supplant traditional TV models. I just think that there’s a way for us to use all of these platforms at our disposal to tell massive, integrated stories that are greater than the sum of their parts. The transmedia producer for a show like “Agents of S.H.I.E.L.D.” has to liaise with pretty much every single department on a regular basis, because the success of a modern transmedia franchise requires that everyone involved be on the same page all of the time. And the best way to keep all of those balls in the air is to have a dedicated Transmedia Producer overseeing the process, every step of the way.